Your local SACKO IT Specialist in certain situations may be required to access your computer remotely. The remote support software allows your local IT specialist to securely connect to your computer and make the required changes. 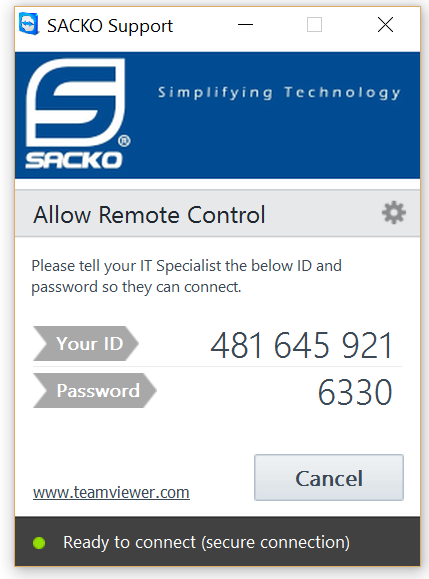 All that you are required to do is download the SACKO Remote Support program and then double click on it and hit the run button if prompted to do so. Then simply provide your IT Specialist with your ID number and Password.